This simple crochet project is perfect for teens or someone who is just starting out. This is a guide about making a crocheted mini purse. 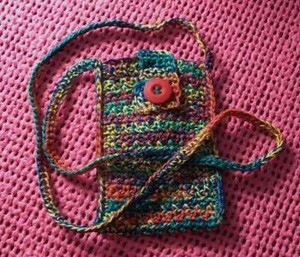 With your choice of double crochet thread and 3 hours or so, you can have a nice little purse for ID, Ipod, or cellphone.